Cranes are in the Gruidae Family of the Gruiformes Order. At present, there are 15 species or members of that family. All of them are called Cranes, except for one member. That is the Brolga which is found in New Guinea and Australia. Cranes are another of the Lord’s creation that I enjoy watching. 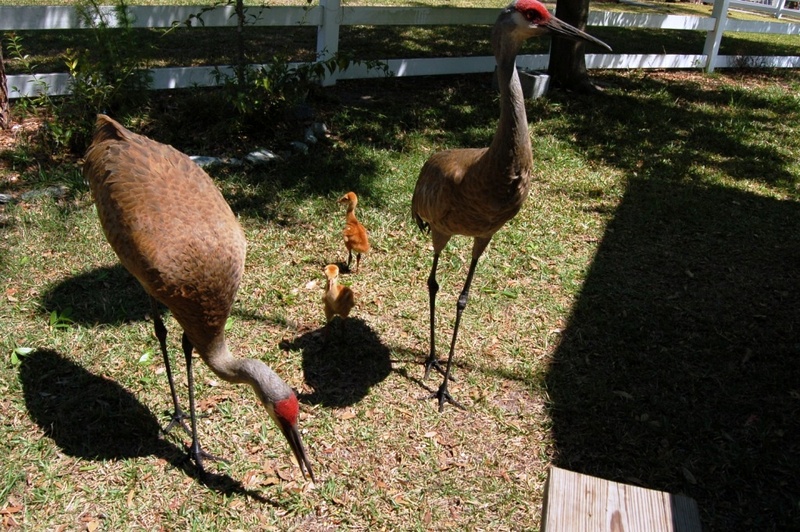 We are fortunate to be able to see Sandhill Cranes almost daily. Just spotted 18 today across from my backyard and will post an article about it soon. Cranes bear a general resemblance to Herons in that they are long-legged, long-necked birds, but when on the wing, they carry the neck fully extended, a habit which will readily distinguish them from the curved neck Herons. Cranes are less aquatic than Herons and are often found feeding on the prairies or pine-barrens where worms, grasshoppers, lizards, roots, etc., form their fare. They nest on the ground laying two buffy eggs thickly marked with brown. The young, unlike the nearly naked, helpless young of Herons, are born covered with down and can soon follow their parents. The Cranes have loud sonorous voices; the Herons raucous croaks. A Sandhill Crane call. Does it sound like a chatter? Cranes migrate (travel to a warmer climate in winter) as mention in Jeremiah 8:7. 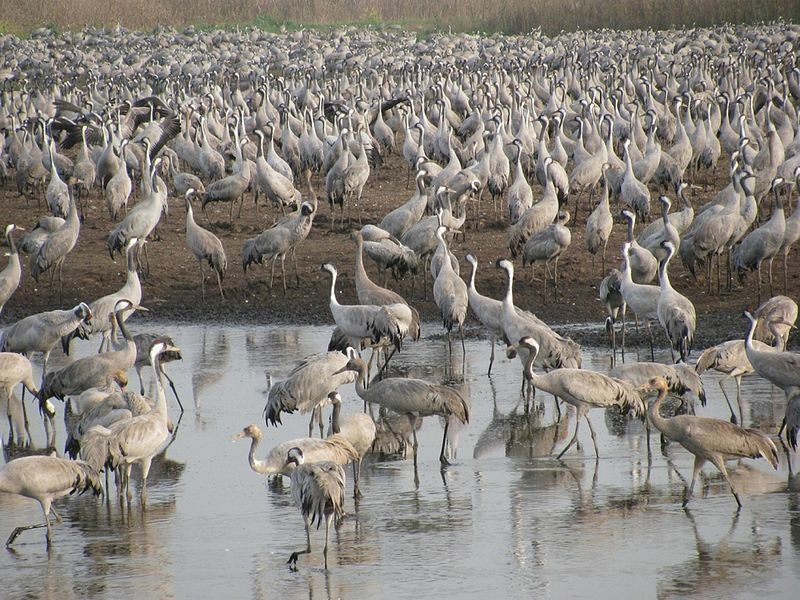 Here is a photo of Common Cranes in Israel gathered together. 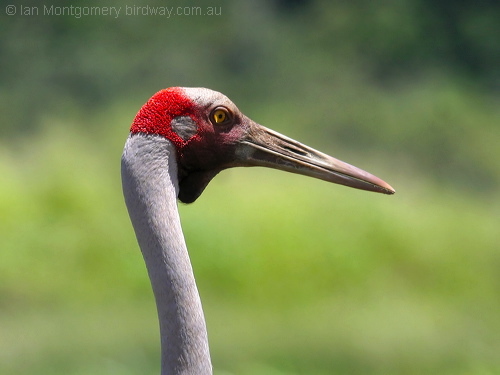 Cranes are one of the tallest flying birds, but more on that in another Bible Birds article. This entry was posted in Bible Birds, Birds, Birdwatching, Christian and tagged Bible, Cranes, Gruidae Family, Home School, Kids, Nature, Photography, Youth. Bookmark the permalink.